Picchiotti Yachts, the oldest yacht builder in the world, yesterday unveiled what it brands to be its “next generation of motor yachts” at the Monaco Yacht Show. Picchiotti Yachts has unveiled its next generation of motor yachts at the Monaco Yacht Show, including the Explore PY Vitruvius (pictured). 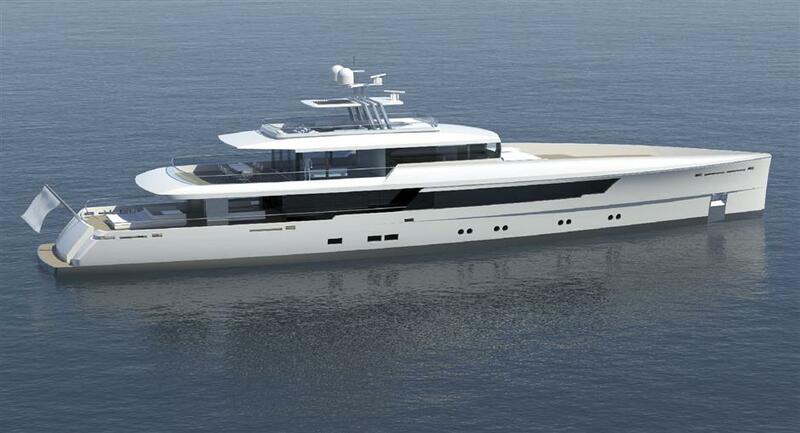 It revealed designs for its range of luxury, bluewater yachts, including the Explore PY Vitruvius, the Explore PY Modern Classic and the Explore PY Expedition. Picchiotti worked with a selection of leading yacht designers to develop its new range, which it describes to be “stylishly simple, yet elegant and innovative”; each yacht is “tailored to suit the diverse lifestyles of today’s owners”. According to Picchiotti Yachts, which is part of the world-famous Perini Navi Group, it is “no coincidence” that the first two naval architects selected, Philippe Briand and Nauta Design, are renowned sailing yacht designers.